Did You Know? Federal health regulators are now questioning triclosan – the germ-killing ingredient in 75% of hand soap products – and whether it is as effective and harmless as we think. Later this year, the U.S. Food and Drug Administration will perform a review on the safety of triclosan, which will determine whether it should continue to be used in household cleaners. A review of this size has the potential to severely impact a $1 billion industry, which includes products like body wash, toothpaste, dish soap, and toys. This all came about as recent triclosan studies revealed that testing the chemical on animals led to a risk of infertility, early puberty, and other hormone-related issues. Some hospitals and medical companies have even stopped using products containing this chemical for fear of the health risks. If you’re a Norwex user or eco-enthusiast, it probably doesn’t even phase you anymore when you hear about the health risks of household cleaners and products. However, there is still a good portion of people who have no idea what goes into these products, especially since most of them were developed before any laws (in the U.S.) required scientific review or federal evaluation. You can find a much more extensive list at beyondpesticides.org. Pretty disturbing, isn’t it? I had NO idea something as seemingly harmless as cotton socks, toothpaste, or children’s toys would contain such an unnecessary chemical! 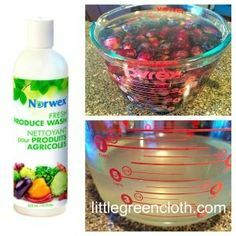 Did you know that Norwex makes foaming handsoap, toothbrushes, deodorant, and dishwasher detergent – all triclosan free?! I’m curious what you all think about this. Are there any products you use frequently that are on the triclosan list? I am sensitized to antimicrobial chemicals and pestisides, including triclosan. Microban and bio fresh are also terms used for products made with these chemicals . Are your cleaning towels made with any antimicrobial properties? None of the antimicrobial ingredients you listed are in the Norwex microfiber – there is no triclosan, microban or bio fresh in any of our products… the only microbial agent in some of the Norwex microfiber is silver – that’s it. So if you’re not sensitive to silver, you will have no problems with using Norwex products.